"Project manager and project engineer is basically the same thing, isn't it?" - To put an end to this myth, we’ve dedicated the second part of our 'Professions in Project Management' series to the project engineer. In project management, terms such as project manager and project engineer are often used synonymously and people get confused. This is why we want to introduce the project engineer in more detail in this second part of the ‘Professions in project management’ series. Project engineers organize and monitor the execution of technical projects and take over project management during the implementation phase. Especially when technical processes need to be re-evalued and optimized, you will need a project engineer - for example, when you need to redesign components or subsystems of technical systems. The complete construction and commissioning of machines and plants, such as automobile production lines or methanol supply plants, are also part of the tasks of a project engineer. The project engineer must be able to plan a very complex structure with economic but also human aspects perfectly. Project engineers use CAD software, network planning and other modern planning techniques and often work abroad for longer periods of time. The main differences between a project manager and a project engineer are in training and qualifications. Unlike a project engineer, a project manager often has no specific technical know-how and no engineering training. 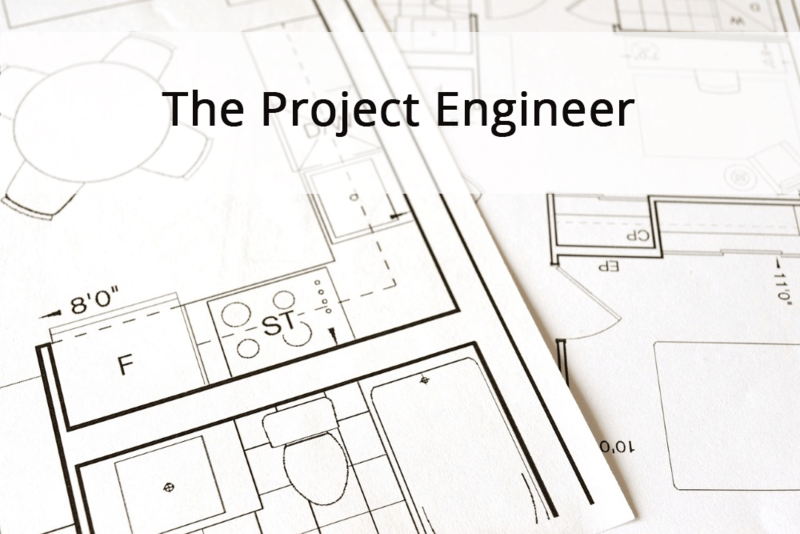 Of course, a project engineer can also be the project manager - but not vice versa. Whether or not it is better for the project manager to have specialist knowledge depends on the project in question. We’ve already looked at the advantages and disadvantages of whether a project manager should be a subject matter expert (SME) or not in this blog post. A project engineer needs both: knowledge in project management as well as technical and business management expertise. He needs to be just as familiar with project management methods as he must be able to optimize technical systems and machines. In addition to specialist knowledge, a project engineer should have strong communication skills and be good at managing conflicts. Usually, a project engineer has a college degree in Project Engineering / Engineering Project Management. Any other degree in Engineering is a good basis, too. Acquire additional management knowledge by specializing in that field. Another way to become a project engineer are additional training courses and certifications, such as the PMP (issued by the Project Management Institute) or the IPMA-B (issued by the International Project Management Association). Project engineers are required to have many specialist skills and take on a high level of responsibility – that is reflected in their salary. The salary depends, of course, on the training and professional experience - on average, it is between approx. $ 6.000 and $ 6.500 per month. Project engineers also often work independently or on a freelance basis. Read more about professions in (project) management in part 1 of the series. Professions in Project Management (#2) – The Project Engineer - InLoox • Copyright 1999-2019 © InLoox, Inc. All rights reserved.